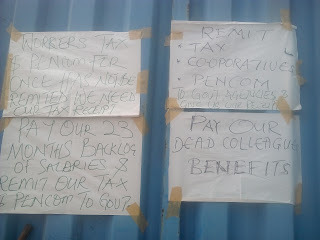 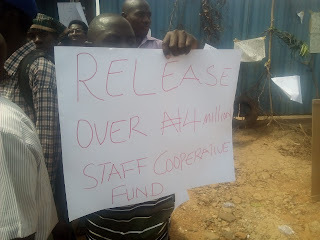 according to a worker, in his statement said that the salary unpaid is more than 24months it is due to some undisclosed reason they had to cut it to what it is, he said during the course of working, suffering in silence some had died, of one sickness or the other. 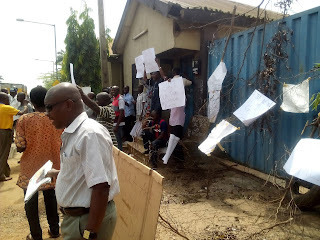 in the placards with them some names of their excutives were pasted likes of TED and Abiola claiming that they are sabotage and virus to the newspaper company. 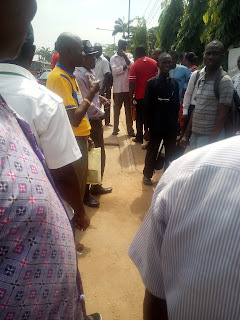 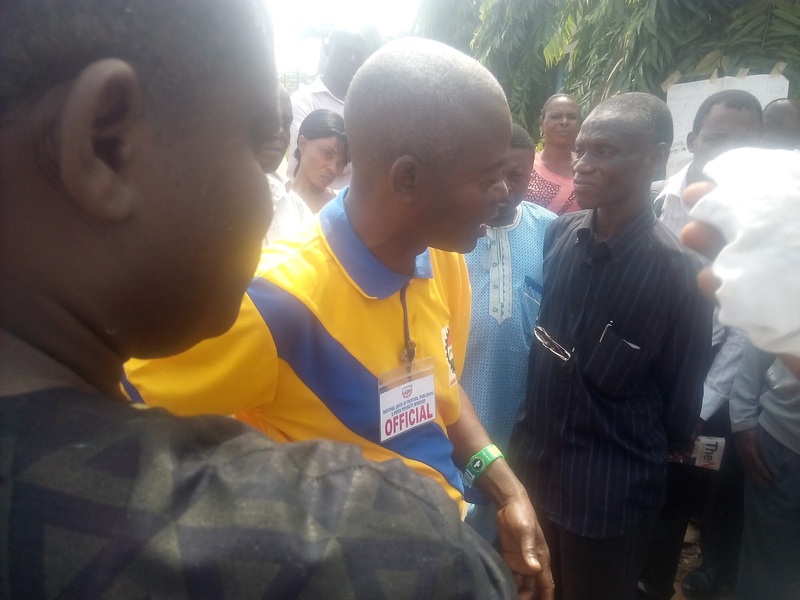 A Nigeria Labour Congress(NLC) official visited the scene of the protest and addressed the protesters on the issue pleading on behalf of the company executive board assuring them of a rapid solution to the problem.